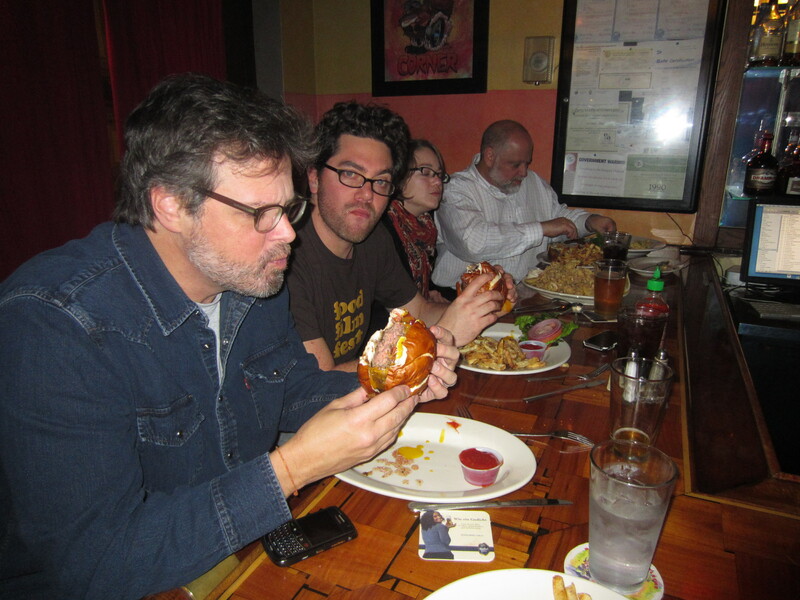 ← Burger, Beer and Bourbon Tasting at Idle Hands Bar with Google New York! Turkey at Thanksgiving, singing the National Anthem before a Baseball game, Liquor before Beer, in the clear .. traditions are important. They bring about rituals that create a togetherness between us and reasons to bond together or celebrate. Whether they are cultural, religious, familial or just something you do between friends, traditions are small moments that define the importance of bonding. While I observe many of them, perhaps one of my favorites has to do with the city of Chicago. When I am traveling, be it for work, family or vacation, food always plays an important part of the excursion. You’ve probably heard (read) my coin the phrase “eatcation,” which I created to simply mean a vacation centered around eating, which is a part of every trip I make. Well, when it comes to Chicago, I practice an eatcation tradition EVERY TIME I visit. While it’s a very simple tradition, it’s also a very intense experience. What is it? Well let me tell you. There is NO trip to Chicago without a mini eatcation at Kuma’s Corner. 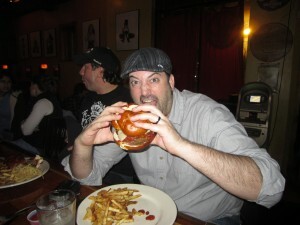 Kuma’s Corner is one of the greatest Hamburger restaurants on the entire Earth. I’ve not eaten every Burger on the planet, but I’ve had my fair share and I can honestly tell you that topping this experience has got to be an impossibility. Everything at Kuma’s is done to an extreme but without going overboard. All the Burgers are amazing, the Macaroni & Cheese is outstanding, the French Fries are fantastic, the rotating selection of draft & bottled craft Beer is excellent and they even have a rotating offering of Scotches, Bourbons & Whiskeys chilled on tap! There aren’t a ton of seats at Kuma’s so expect to wait but hey, trust me, it’s freaking worth it. A little tapped Bourbon or Beer will make the time fly by. Grab a menu while you wait and have your order ready when you seat to speed up the process. The rest of your head-banging, beer-drinking, Burger-crushin’ brothers and sisters will appreciate it. 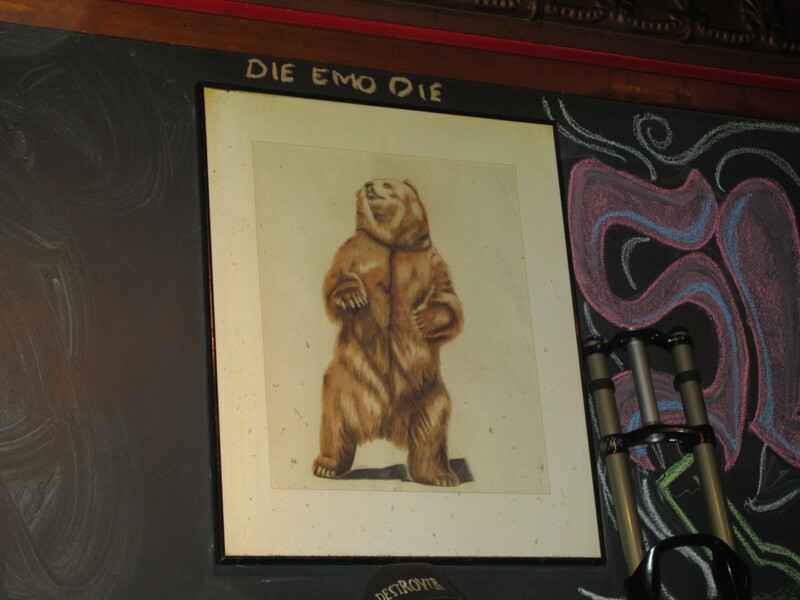 Kuma’s knows just where the line is and how far to cross it and by example, most Burgers on their menu is named after a heavy metal band (Iron Maiden, Mastodon, Yob, Melvins, Metallica, etc.) It’s a truly unique experience where attention to detail and quality is everything. 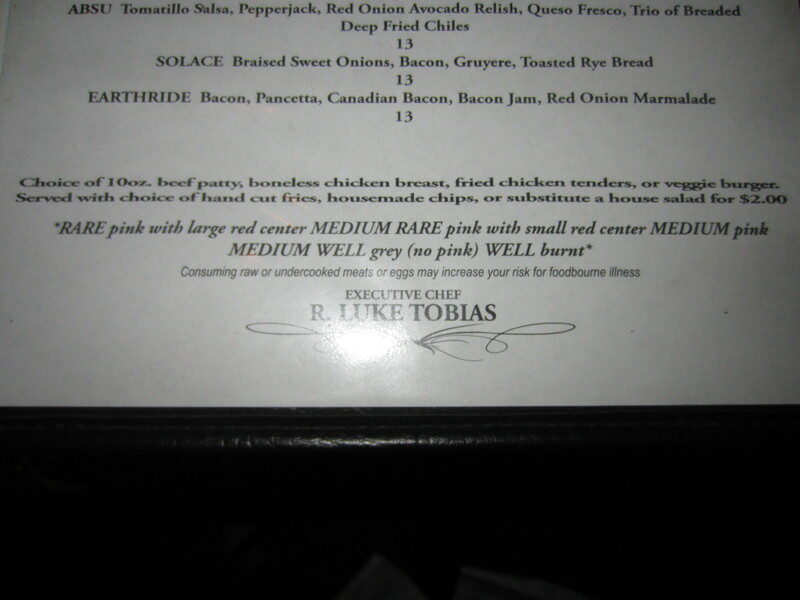 One person you can thank for this Burger feast of the Gods is R. Luke Tobias. 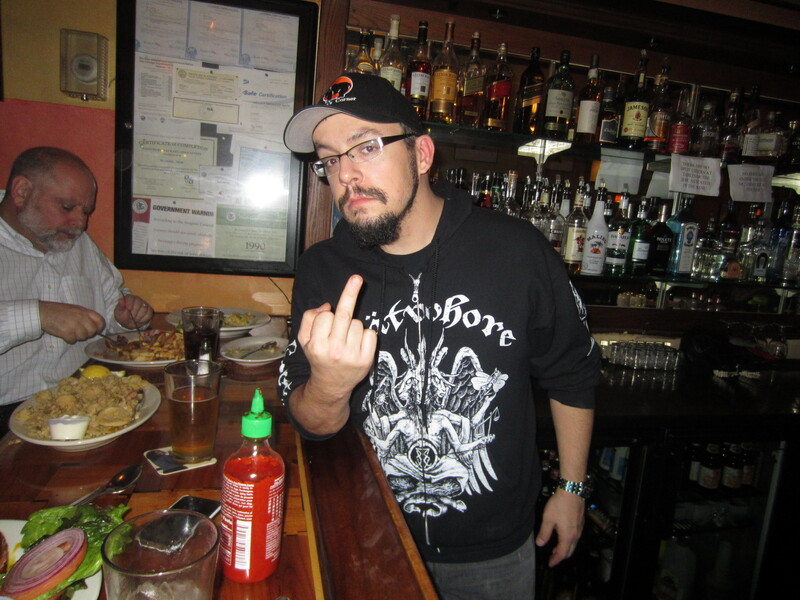 Luke is the executive Chef and the man blessed with immortalizing metal bands with signature Burgers. Whether its the “Black Sabbath,” served with Blackening Spice, Chili, Pepper Jack & Red Onion, the “Brujeria” with a Cream Cheese and Chorizo stuffed Jalapeno Popper, Cheddar Cheese and Charred Tomato Salsa, or the “Slayer” topped with a pile of Fries topped with a 10 oz. Burger, Chili, Cherry Peppers, Andouille, Onions, Jack Cheese and Anger … you can trust this man to be the “Plague Bringer” of Burgers. As I planned out my trip to the Chicago Food Film Fest with festival creator George Motz, (also the Burger maniac behind the “Hamburger America,” film & corresponding book) I demanded we stop at Kuma’s immediately after my plane touched down. Ask George or festival director Seth Unger and they will confirm that I sent no less than 5 or 6 dozens emails mentioning Kuma’s (possibly more.) As a result of reading George’s book or just hanging out with the guy, I’ve eaten a lot of Burgers that he loves but we have yet to break Burger together at one of my favorite places. Today, my tradition would change that, and George, forever. 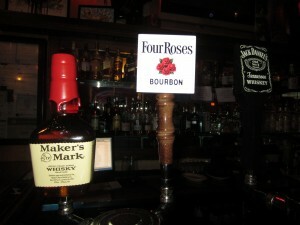 With Makers Mark, Jack Daniels and Four Roses all on tap, deciding on which brown liquor to start with was no easy task for anyone. 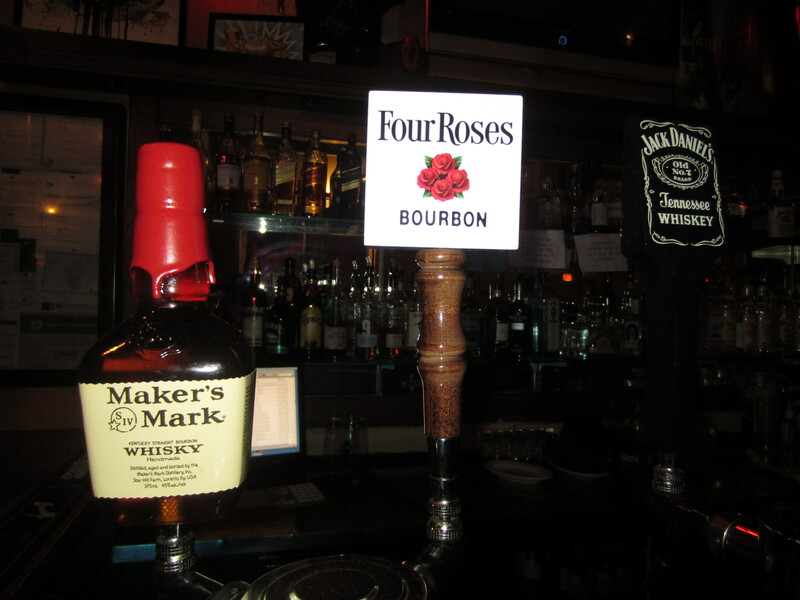 That’s probably also why when I said “Four Roses for me please,” my bud Nicole said “I’ll have the same.” (I know a think or two about bourbon). 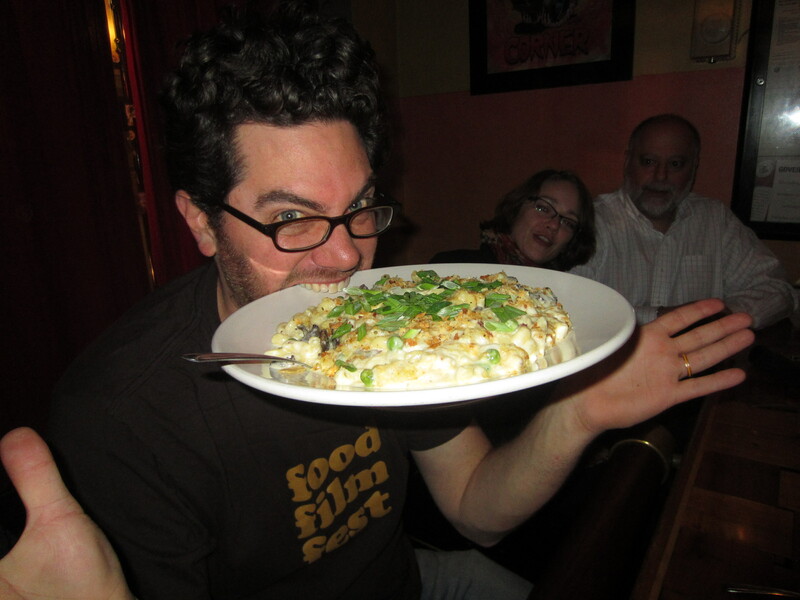 Once we secured 6 seats together, a feat at Kuma’s that is more difficult than one might surmise, we placed an order for Kuma’s famous “Make Your Own Mac & Cheese.” I let special guest Arthur S. Unger, CPA, a relatively Kosher eater by nature, choose the ingredients: Peas, Mushrooms and Scallions. With a Burger as large and in charge as the Kuma’s Burger, one doesn’t really need any apps but with 6 peeps, partaking in a split order would only augment the experience. After a few spoonfuls of the creamy and savory Mac, my good Ben suggested washing down the rest with a Three Floyds Brewing Gumball Head, a delicious and tasty Wheat Ale from Indiana. It was a great call Ben. While reminiscing with Ben, sharing stories with George and generally loving the hell out of my Three Floyds beer, the headlining act appeared on stage, Black Oak Arkansas. Only a true denizen of rock lore would be familiar with this late 60s/ early 70s Southern Rock band made up of grand larcenists and good ole boys who lived off the land … and the money they made from Rock and Roll! This Stax recording band has boasted nearly 4 dozen members and one top 25 Billboard hit, “Jim Dandy.” The song boasts of a man who comes to the rescue of others, those others normally being some form of fair maiden. A perfect band to fashion a nasty, nasty Burger that could only save those in the deepest of need, that is if “nasty” means intense and that fair maiden is me! 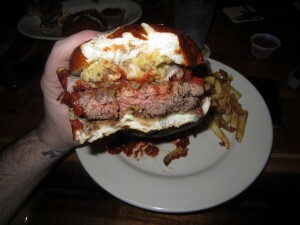 “The Black Oak Arkansas,” A Kuma’s original Ground Beef patty, cooked medium rare, with Red Wine Barbecue Sauce, Bacon, aged White Cheddar & Three Floyds Alpha King Battered Fried Shallot Rings and served on a pretzel roll. One bite and you’ll think you’ve died and gone to Black Oak, AR. While the actual city (home to to John Grisham’s “A Painted House”) had less than 500 people in the 2010 census, this version has population 1, you. Halfway through, I had to call over Luke to give him a handshake, a hug and and a congratulations. 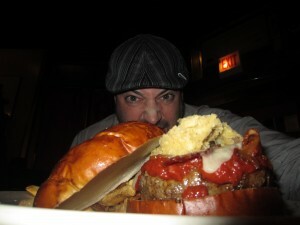 In all my Burger Pursuits, I have never come across something like this Burger. 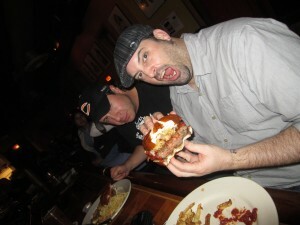 It was big, Beefy, savory, juicy, intense, flavorful, smoky, sweet, peppery and just about any other descriptive taste sensation one could come up with, would appropriate describe this amazing, Amazing Burger. The Sauce tasted more of a sweet and smoky Italian Red Sauce which balanced against the smoky Bacon and savory Cheese made for an amazing taste blanket for the outstanding Beef used at Kuma’s. As for the Rings, wow, just Wow. I’m usually one to dismiss Rings as just another side order. I mean, really, how great can fried Onion Rings or French Fries be? 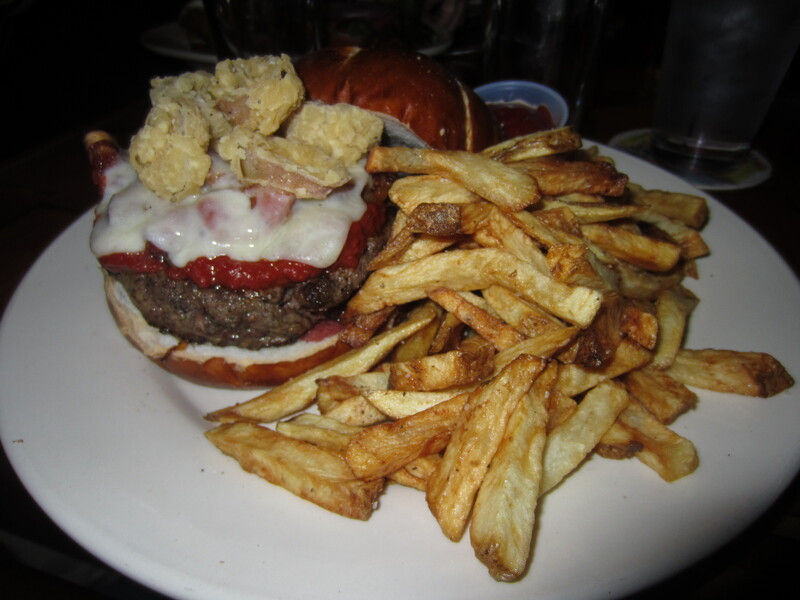 Most places don’t put half the care into their side items as they do their Burgers, so why care? I’d rather have more Bacon or another Beer. However, these Rings, made of Shallots for Chriiiiisssaaakes, were incredible which surely was an effect partially created by the use of the Three Floyds Pale Ale. At that, I think it’s a VERY bold move to only offer these crispy treats a top the Black Oak Arkansas. 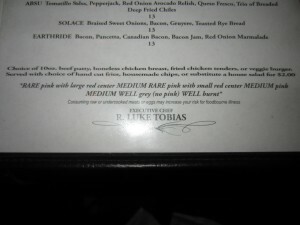 Of course, another genius move by one R. Luke Tobias. Kuma’s Corner in Chicago not only makes some of the best Burgers on the planet but does in a creative way that many have tried to imitate but much like the mighty Black Sabbath, there can be only one. 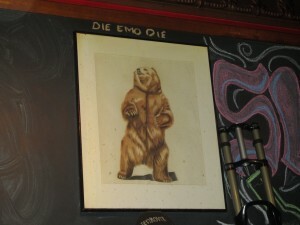 Kuma’s Corner scores a 5 on The Rev Meter. This entry was posted in Bar, Beer, Burgers, Event, Food Film Festival, Gourmet Burgers, Hamburgers, New York and tagged black oak arkansas, bourbon, burger, cheese, chicago, ciancio, conquest, food film festival, french, fries, george motz, great, hamburger, heavy metal, kuma's corner, kumas, new york, ny, nyc, rev, review, the, the rev meter for social community. Bookmark the permalink.